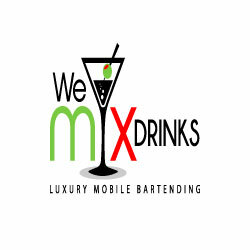 Today, I had the chance to chat with one of my favorite PBB Preferred Vendors, We Mix Drinks LLC, a mobile bar company in the Dc area. Please check out the interview below! Make sure you get the sweet promo code at the end of the interview! 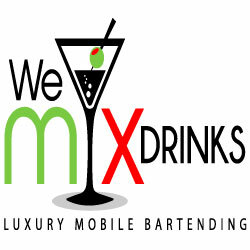 We are a professional mobile bar service company serving the MD, VA, and, DC area. 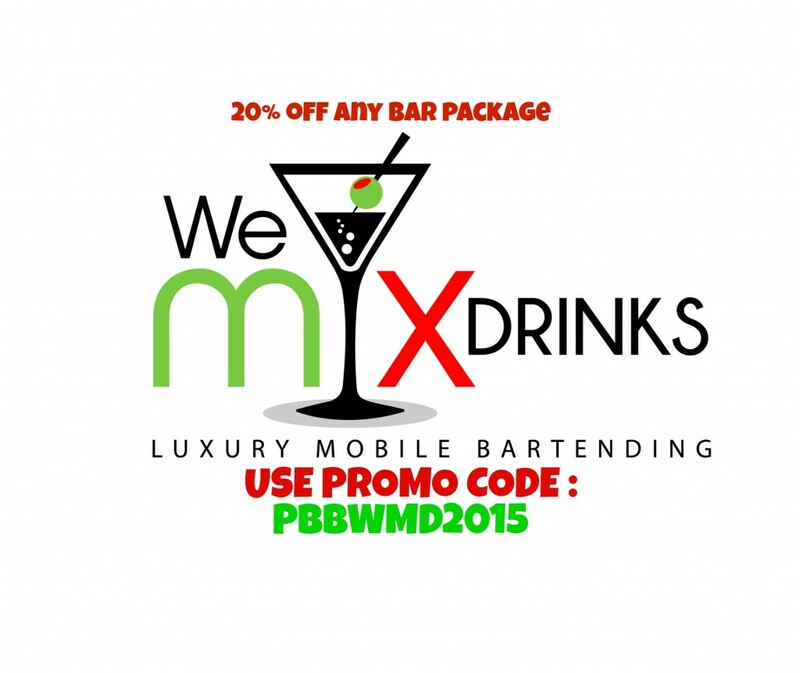 We offer complete bar packages and bar staff to clients seeking a bartender for their event. We will arrive at the event with bar staff, bar supplies, bar set up, and bar garnishments. What type of events ? We cater weddings, bachelor/bachelorette parties, engagement dinners, rehearsal dinners, bridal showers, holiday parties, office parties, Bar/Bat mitzvahs, and corporate events. Washington Dc metro area and surrounding counties in Virginia & Maryland. No. Guests are expected to provide alcohol. We provide bar staff, bar tools, garnishments, mixers, cups, napkins, and etc. However, we do assist clients with menu preparation. Our party planner, will help guests choose the best drinks for their event and suggest the appropriate amount of bottles to purchase for their event. How far in advance should a bride book an event? 1 to 2 weeks is ideal. Do you have any promotions this season? 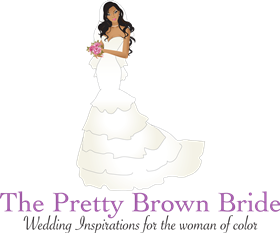 Any bride that uses promo code PBBWMD2015 when booking an event by December 15th, will receive 20 % off of any wedding package. How can brides contact you ?